Jeevan Sathi is a romantic Nepali Pop song by Shivam Lama and Puja Gurung. 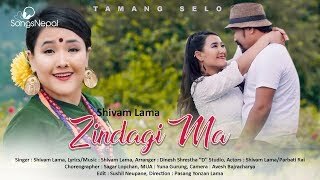 The Music and Lyrics are a composition of Shivam Lama and the music arrangements are arranged by Dinesh Shrestha. The actors starring as lovers in this music video of ‘Jeevan Saathi’ are Priyanka Karki and Bikram. The music video is a direction of Nikesh Khadka and the camera directions are taken by Shivaram Shrestha. The editorial of Jeevan Sathi is done by Nishan Ghimire.